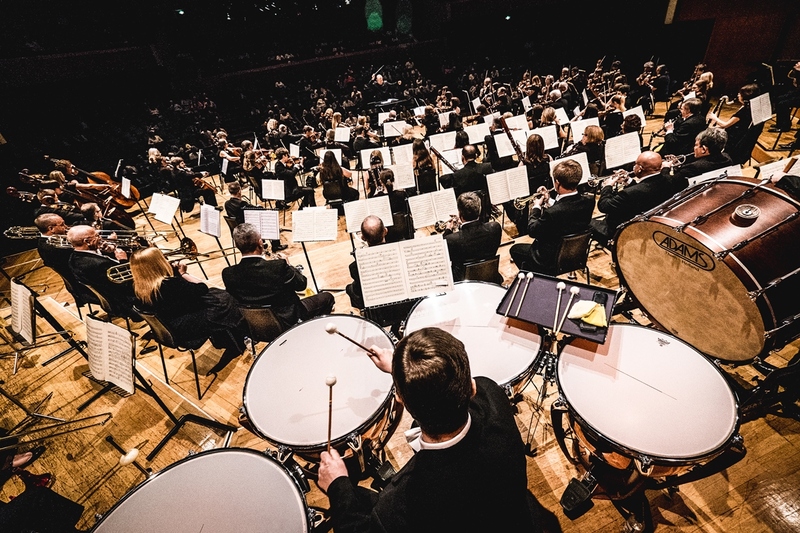 CARDIFF PHILHARMONIC ORCHESTRA celebrates its 35th birthday with a performance of Strauss’ mighty and magnificent An Alpine Symphony at St David’s Hall on Saturday 15 July. Since its inaugural concert at St David’s Cathedral on Saturday 19 June 1982, CPO has entertained thousands of concert-goers and established itself as one of Wales’ foremost non-professional orchestras with a loyal and talented membership. Now well into its fourth decade, the orchestra continues to go from strength to strength in delivering a diverse and exciting repertoire to their devoted following. In addition to performing four times per season at the National Concert Hall of Wales, CPO have also performed the ever-popular A Night at the Movies concert every year since 1994, and become a firm favourite at the Welsh Proms with their Family Prom concerts since 2000. Furthermore, they have played at other prestigious Welsh venues including the Wales Millennium Centre, Cardiff Coal Exchange, Theatr Brycheiniog, Blackwood Miners’ Institute, Folly Farm and Llandaff Cathedral. Along the way they have rubbed shoulders with a string of celebs too including Sir Bryn Terfel, Charlotte Church, Bonnie Tyler, Sir Geraint Evans, Aled Jones and even the likes of Neil Kinnock, Brian Blessed and Sebastian Coe. Plus, in October 2016 they were joined by Hollywood A-lister Michael Sheen who narrated the World Premiere of Bernard Kane Jr’s Mr Dahl at the Concert of the Unexpected: A Celebration of Roald Dahl. The 2016/17 was a record-breaking one for CPO too as A Night at the Movies concert last December was a complete sell-out and was the highest attendance at an orchestral concert for almost twelve years at St David’s Hall! The orchestra are now returning to close the season in style with The Glory of Strauss & Elgar. Both composers were contemporaries and huge admirers of each other’s music, and this captivating concert presents unforgettable works by each composer. Strauss’s Festival Prelude was written in 1913 for the inauguration of the organ in the Great Hall of Vienna’s Konzerthaus. Scored for organ and large orchestra, it provides a sensational opening work especially as the orchestra are joined by acclaimed organist, Jeffrey Howard. Elgar’s deeply introspective, but supremely lyrical Cello Concerto, was composed in the aftermath of World War I in 1919. It is simply one of the greatest of all cello concertos and will be performed in this concert by the gifted Neath-born soloist, Steffan Morris. 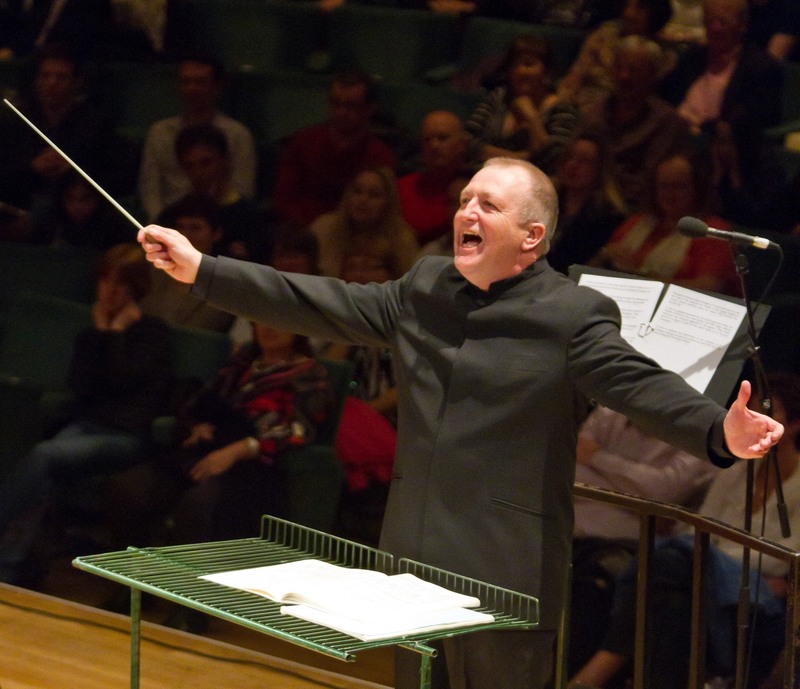 Conductor Michael Bell formed Cardiff Philharmonic Orchestra fresh from completing his degree at university, and was keen to continue performing the music he had studied. Thirty-five years later he remains as dedicated and passionate as ever about the orchestra. Plus a Ticket Service Charge of £3.95 per transaction and an optional £1 postage fee. or call the Box Office on 029 2087 8444. Neil Collins speaks with CPO Conductor, Michael Bell about his many fond memories performing with the orchestra over the last four decades. After completing a degree at Cardiff University, you set up the orchestra in 1982 to continue performing the music you had studied. You must be pinching yourself that the orchestra is still here 35 years and 332 concerts later! CPO will be celebrating this landmark with a special concert at St David’s Hall on Saturday 15 July. What have you got in store for us? 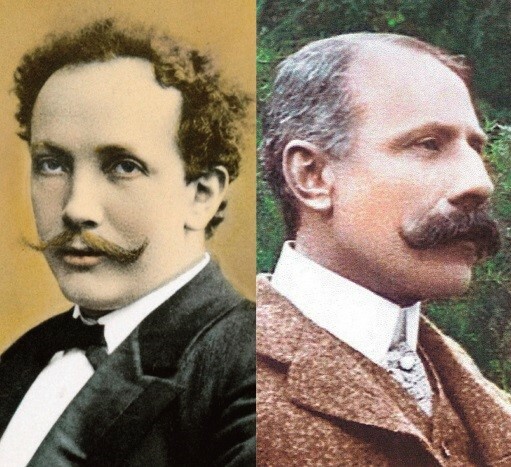 We’re performing works by composers Richard Strauss and Sir Edward Elgar, huge admirers of each other’s music. By Strauss we have one of his most extravagant and overwhelming works, An Alpine Symphony. It features a huge orchestra and tells of a day’s climb in the Alpine Mountains. It’s very cinematic in many ways and completely wonderful. The orchestra loves playing this work. The programme begins with Strauss’ joyous and magnificent Festival Prelude that will prominently feature the great St David’s Hall organ played by Jeffrey Howard. The other work is Elgar’s sublime and moving Cello Concerto, written in the aftermath of World War I, and our performance features the brilliant Welsh-born cellist Steffan Morris. CPO’s inaugural concert was held at St David’s Cathedral on Saturday 19 June 1982. What are your memories of that performance? I remember the day very vividly beginning with the delivery of a grand piano at 8am at St David’s Cathedral. I was there! I remember the rehearsal in the afternoon had to be divided into segments to allow for services and confessionals at the cathedral. I remember feeling so nervous beforehand that I thought I was going to be sick in the font, but luckily wasn’t! I remember Rachmaninov’s Piano Concerto No.2 with soloist Richard McMahon being terrifying because the piano was situated on a different level to that of the orchestra. We couldn’t hear the piano and Richard couldn’t hear the orchestra, but somehow we got through it together! The main work was Mahler’s Symphony No. 1, extremely ambitious for what was meant to be a one-off concert, but it was a very exciting experience for us all. The orchestra started performing at St David’s Hall in 1983 where it continues to perform four concerts per season. It must feel like a second home to you! CPO first performed at St David’s Hall in December 1983 as part of a charity concert sharing the programme with other performers including a very distinguished oboe player named Nicholas Daniel, who had won the 1980 BBC Young Musician of the Year Competition. At this concert our timpanist fell ill and had to go home in the interval. Luckily, Nicholas Daniel had played timpani at some point in his life and stepped in to save the day! It is like a second home particularly as I worked for three happy years at St David’s Hall from 1987 to 1990. What other venues CPO have performed in at home and abroad over the years? I feel that St David’s Hall is the orchestra’s spiritual home but we’ve played in a number of Welsh concert halls including Swansea’s Brangwyn Hall, the Gwyn Hall in Neath (my hometown!) and Theatr Brycheiniog in Brecon. The orchestra has performed in Europe in Zurich and Nantes, and most memorably twice in Paris at the Salle Pleyel, Paris’ premiere concert venue (our concert was sandwiched in between concerts by the Berlin and Vienna Philharmonic Orchestras!) We have also performed at the Eglise de la Madeline, the imposing Paris church where Faure’s Requiem was first performed; where Faure succeeded Saint-Saens as Director of Music and where Franz Liszt performed. The place is steeped in musical history and the concert we performed there (including Elgar’s Symphony No. 1) was an unforgettable experience. Over the last 35 years, CPO have joined by a huge array of special guests including Michael Sheen, Sir Bryn Terfel, Charlotte Church, Bonnie Tyler, Sir Karl Jenkins and even the likes of Neil Kinnock, Brian Blessed and Sebastian Coe. It must give you an enormous feeling of pride that such big names want to perform with the orchestra? When you work with people famous from the television and in other public spheres there is always a tremendous anticipation. “What will they be like? Will they be divas?” But everyone with whom we’ve worked, without exception has been a joy. What are your memories of these collaborations? We’ve been fortunate to perform with a wide range of distinguished soloists and presenters including the young Bryn Terfel (who rehearsed with us at Dalton Street Day Centre!) and the legendary Sir Geraint Evans; Neil Kinnock narrated Jeff Wayne’s The War of the Worlds; Brian Blessed was a force of nature in Peter and the Wolf. I amended the script for him, naming the duck Gordon, so Brian could end the piece by bellowing his famous line “Gordon’s Alive!” Michael Sheen was our most recent distinguished guest in the World Premiere in October 2016 of Mr Dahl. CPO have performed A Night at the Movies concert since 1994, and it’s now more popular than ever. Last December, more than 1,800 people bought tickets to the show, which was the highest attendance at an orchestral concert at St David’s Hall for nearly 12 years! Do you still get butterflies performing in front of such a large audience? The thought of freezing onstage must be terrifying! I always tell the orchestra that it doesn’t matter if we perform to a capacity house, or a handful of people, that we must be at the top of our game, and that is what the orchestra does. Having said that, there is nothing like the thrill of performing to a full house as we experienced in A Night at the Movies last year. Great to see so many young people in the audience, many of whom may well have been attending their first concert. I’m always nervous before concerts but it’s important never to let nerves gat the better of you, and not to show it to the orchestra or the audience. Luckily the nerves seem to vanish when we get underway. As a big film fan yourself, it must be good fun performing such iconic music from the movies and sharing all the related facts and figures with the audience? I’ve always loved from music from films, and would be one of the sad people who sit right to the end of the film credits in the cinema to find out either who wrote the music, or who arranged or orchestrated the music, and also who performed the music. We started A Night at the Movies in 1994. Initially I wrote to a well-known BBC film presenter to engage him to come and introduce the concert. When he sent me a very nice reply, but declining, I thought I’d give it a go myself, so have been introducing the concerts to audiences ever since. With the advent of the internet it became much easier to find facts, figures, and trivia than having to buy a succession of movie guides and reference books. The first film score that made a real impact on me was that of Miklos Rosza’s score for Ben-Hur (the film always seemed to be on at Christmas on one of the three channels then available!) We’ve performed music from Ben-Hur on several occasions (and recorded it too) and I enjoy it immensely every time. Since 2000, CPO has also performed the Family Prom at every year of the Welsh Proms. How important are concerts like these in introducing people to classical music from an early age? I remember the thrill of hearing a live orchestra for the first time when I was in school, and a group of us were taken to a concert at Swansea’s Brangwyn Hall. And after that I just wanted to keep going to concerts, and I did, and I hope that we can provide the same experience for our young audience at the Family Prom. What can we expect from this year’s Family Prom on Sunday 23 July at St David’s Hall? The theme of this year’s Family Prom is dance! We’re performing pieces ranging from Tchaikovsky’s Swan Lake and Saint-Saens’ Danse Macabre (the theme to TV’s Jonathan Creek) to music from Disney’s Beauty and the Beast and a spectacular finale of Puttin’ on the Ritz! What have been your absolute favourite moments over the last 35 years? There have been many memorable moments, some of which I’ve mentioned like the orchestra’s inaugural and first St David’s Hall concerts, and the concert at the Elise de la Madeline in Paris. I also remember our first performance of Tchaikovsky’s 1812 Overture at the Grand Pavilion in Porthcawl. We only had enough theatrical explosions for the performance itself, not for the rehearsal, so we didn’t really know what to expect. It was absolutely terrifying! The loudest indoor explosions you could ever imagine. The audience loved it and were on their feet cheering before the final chord! CPO has always prided itself on delivering diverse and exciting repertoires. What pieces do you love performing? Conversely, are there any that are a bit of a nightmare to play? I think that the fact we have always played a diverse range of music – from symphonies by Mahler, Bruckner and Shostakovich on the one hand to music by Eric Coates and Arthur Sullivan on the other – is testament to the commitment of the players and the wish to play a wide variety of styles. There is no such thing as easy music. Everything requires dedication and care to give as good a performance as possible. The orchestra has a faithful following that continues to flock to your concerts year on year. It must be great seeing so many familiar faces and newcomers each season? We are very lucky and we see familiar faces in our audiences time after time at our concerts. Many are friends and family members who require our particular thanks for understanding that Friday Night is CPO rehearsal night! New audience members are always welcome though and we hope that members of our audience who come to see a particular genre like film music will also give a chance for some of our more challenging repertoires. I remember when we performed Mahler’s Resurrection Symphony in 2008, which was an incredible experience for the orchestra and our large choir that raised the roof of St David’s Hall in the final movement. One lady in the chorus told me subsequently that she had dragged along her 16-year-old son to the concert. Not only had he not heard Mahler’s Resurrection Symphony previously, he’d never been to any orchestral concert and knew nothing about classical music. Rock and Heavy Metal was all he knew. After all these years you remain as committed and passionate for the orchestra as ever, which is reciprocated by your loyal and talented membership. What is the secret to CPO’s success? Cardiff Philharmonic Orchestra has been my life for 35 years, and I am extremely proud of what we’ve achieved together. From that first concert only three others are still here with me…Jill Francis-Williams (the leader), Lesley Clarke (clarinet) and Dai Williams (horn…and Jill’s husband!) Many, many others have played with the orchestra since that first concert in 1982, some perhaps for one or two concerts, some for a few years while living in Cardiff, but there are others who have played and stayed, and have become the heart of the orchestra. Their enthusiasm and commitment enables Cardiff Philharmonic Orchestra to rise to the challenge of performing diverse, popular and ambitious programmes to our audiences everywhere.